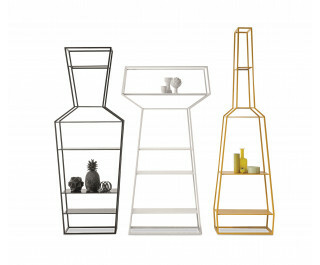 A new concept of an object within an object, a range of shelving units with a strong personality. A bold design and innovative modularity. Not just a bookcase, but an object that lends itself to personal usage interpretations. April, May and June can be used in combination with one another or individually, adapting to any interior décor to perfection.Both the frame and the shelves are made of matt painted metal available in a wide range of colours.